When is a miss a hit? When it's a piece of jewelry from Chopard's Miss Happy collection! Look into the center of these circular earrings and you'll see the designer's signature moving diamond beneath the inscribed Chopard name. Your comfort is assured with a secure lever back. 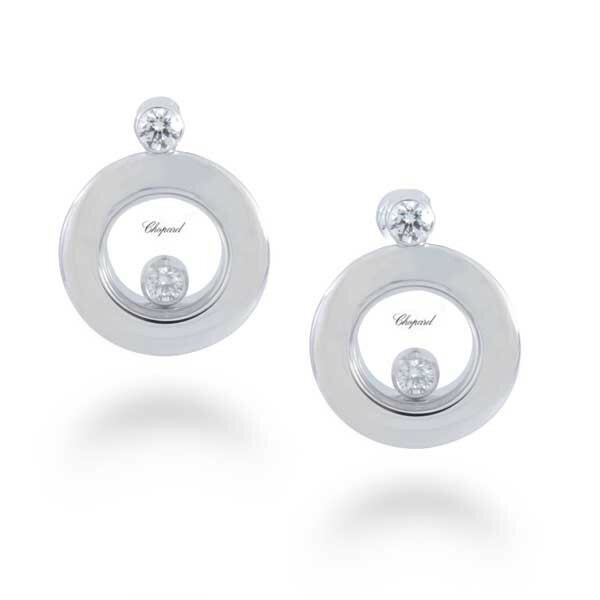 These Chopard earrings are sweet and charming.